Invisible ads are digital ads that people don't see or recall. They can take many shapes or forms; Banners, pre-roll video ad, pop-up ads, and high-impact take over. They share the same traits; Irrelevant, intrusive and indifferent. When offering the chance, people opt for skipping the ads or blocking it all together. Ninety percent of individuals skip pre-roll ads appearing ahead of online video content and TV show. When offering no choice, people view and forget about them. Sixty-eight percent of people recall less than five ads they’ve seen in the past week. Invisible ads have a devastating power, Juniper Research estimated in a recent study that digital publishers stand to lose more than $27 billion by 2020. They create illusionary marketing; Brands overestimating their advertising and ability to change behavior. 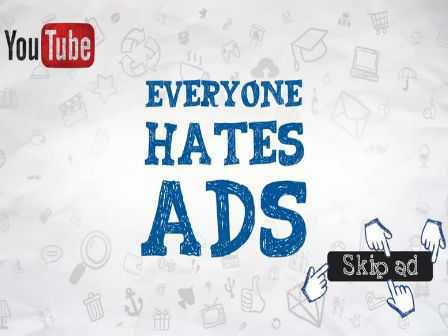 The problem is not that people hate ads, they just hate bad, intrusive and annoying ads. We have been applying mass principles to digital. We do tv ads on pre-roll videos and print ads in banners that are disrespectful of the experience. Pop up ads are the worst. We should instead bake ads into the experience. Contextual and personalized relevance creates a better experience. - New Adlucent research found that consumers crave a personalized advertising experience and that 71% of respondents prefer ads tailored to interests and shopping habits. - In an IPG study, consumers reported that their perception of a brand increased when served a contextually relevant ad. Consumers targeted at the contextual level were 83% more likely to recommend the product in the advertisement than those aimed at the audience or channel level. - Plus, contextual ads can prime our audience's perception. Our surrounding environment largely dictates the perception of the world. Choosing when and where to run the ads is an important choice because of the prime effect. What people read or watch prior the ads can influence how people perceived the ads. Making the invisible visible is less about ads, more about the experience. The more we can align context and content with the brand story, the more real is our marketing.